Last night, Buddy was in obvious discomfort with severe itching. I did what I could for him, but this morning I was not convinced that I had done enough, so I called his vet to see if they could see him today. Unfortunately, they could not see him until tomorrow and I did not want to wait that long, so they referred us to another down the street. We went in and they could not find anything wrong with him. They gave him a shot of cortisone to help the itching, suspecting he had some kind of summer allergy. While we were there, I had a DNA test done on him. 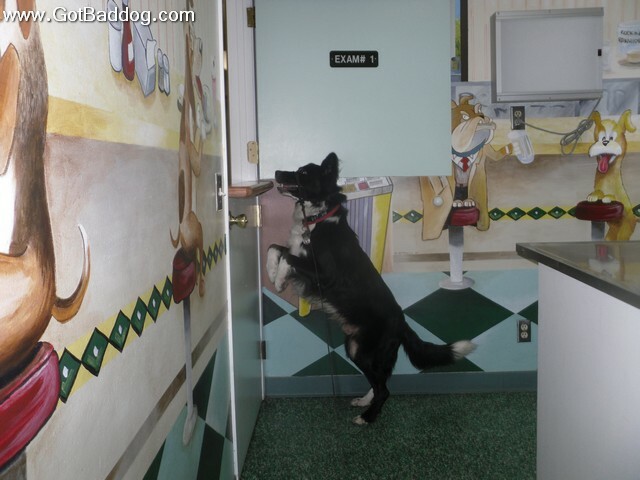 Today’s picture of the day is of Buddy, checking out what is happening out in the waiting room.